Why head to Bangkok when you can have Bangkok come to you? 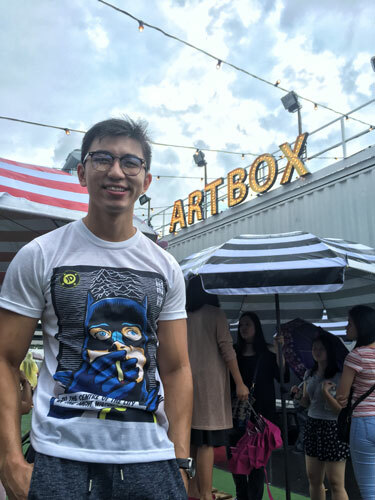 If you’ve never heard of Artbox, it is a creative hipster market in Thailand that targets the much younger crowd as compared to other markets such as Chatuchak etc. And for just two weekends only, DBS would be bringing the same exciting concept here to Singapore! If you or your partner is not the shopping kind, leave him/her at the Hammock area right below the Artbox Sign. There, they can lay down comfortably on those colorful hammocks and chill to the blasting music while you do your shopping in peace. What’s the point of heading down to Artbox if your friends don’t know that you are. 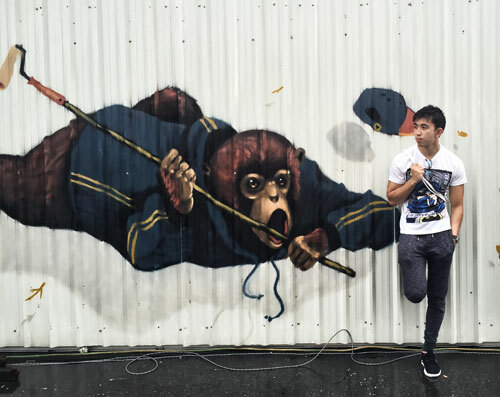 Make use of these wall graffiti as background to snap your perfect OOTD shot. If Wall Graffiti is not your thing. You can always choose to pose and snap with Vintage cars and bikes found at various places throughout the entire market place. What’s a flea market if they don’t sell clothes right? As you would have guessed, you would be able to find stores selling clothes for both Men and Women around Artbox. We also found a few stores selling Pet related products. We don’t have pets so we don’t know, but they all seem to be gathering quite a bit of interest when we visited. we have no idea if they are actually invited for some event. But while we were exploring artbox, we chanced upon a few thai girls in costume. Ask them for a picture maybe? Various local retailers such as Aroy dee have booths there. From Pad Thai to Tom yum soup, you’ll get your fix at artbox. 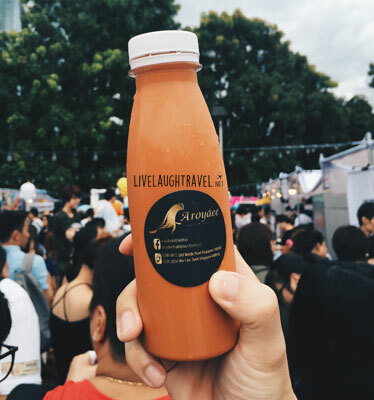 Thai ice milk tea starts from $2.90 depending on which shop you head to. Of all the food stores at Artbox that we came across, we felt that this deserved a special mention. 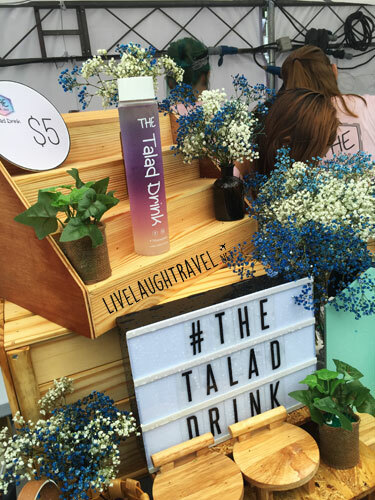 The Talad Drink has a booth there that sells colorful bottled drinks. We have no idea how they made it, but all we do know is that it’s very pretty and also very instagram worthy. The food sections are at the two extreme ends of the market. Aside from thai food, there’s also quite a variety of other food such as Crepes, Liquid Nitrogen foods, Truffle Noodles etc. Our singapore food blog members initially wanted to write about some of the must try foods at artbox, but sadly due to the long queues, we were unable to try them all and hence is unable to offer any real recommendations. The queues are long, so choose your battles and be selective of what you queue for. Because Artbox is an open air area, you can expect to get wet if the occasional rain do come in. If you want to be safe, bring a brolly or rain coat, and wear slippers! 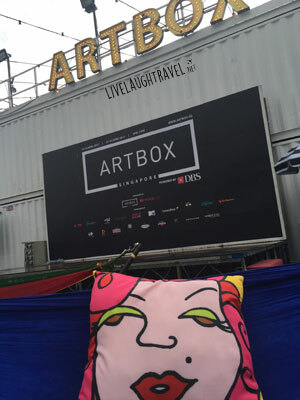 If you’re heading to artbox, you can expect it to be extremely crowded. Singaporeans being Singaporeans, we like to head down to sucha “limited time only” hipster spots. On top of that, the layout of the place (especially the food section), isn’t really ideal. The walking space isnt wide enough and food is not coming out fast enough. People who wish to purchase food stand in the queue which extends till the main walking area that results in a deadlock standoff. The food section especially is terribly packed and we could barely move across. 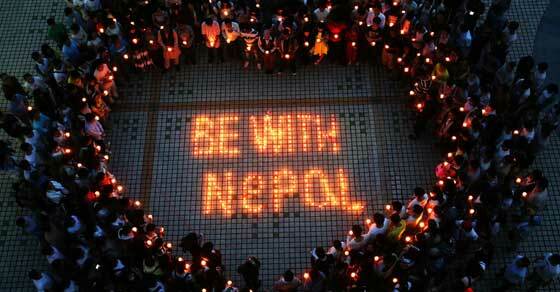 The question then everybody is asking us is then, is it worth going despite the crowd. Well, honestly, the heat and humidity from the crowd was terrible. It is especially bad when you are trying to queue for food and people who are trying to walk, push and shuff you around because you are in their way. Throughout the 10mins I stood in the queue waiting for my noodles, i almost gave up more than three times just cause the heat was so terrible. It was almost like Chinatown during Chinese New Year and you can barely move. There were certain food i saw that i really wanted to try, but the thought of queuing and standing there for another 10mins put me off and i decided not to. But those bad experiences were mostly just along the food section at the 2 extreme ends of the market. Everywhere else didnt experience quite the same kind of jam. 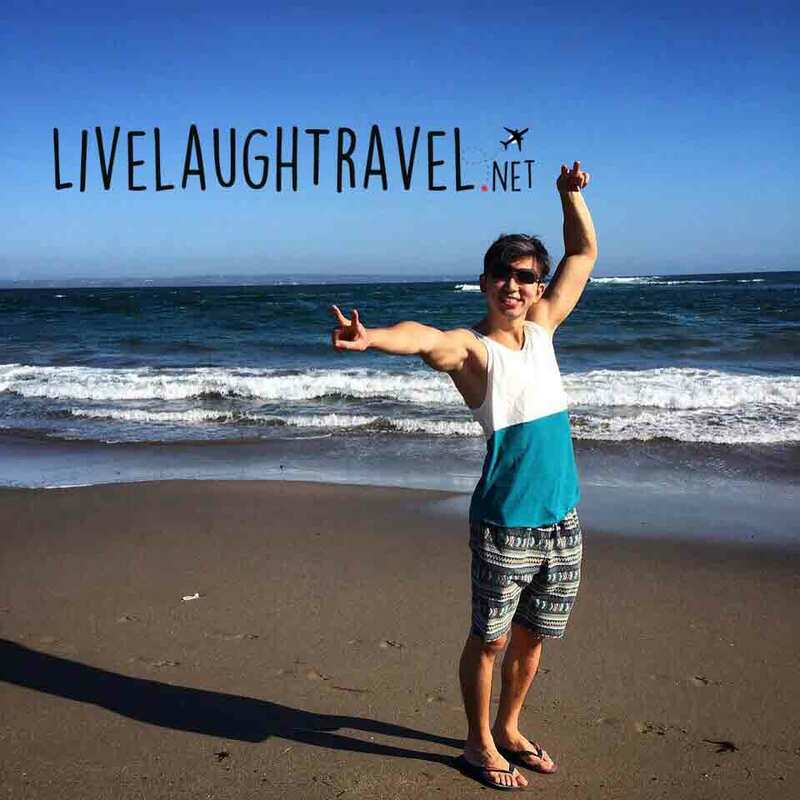 The movement at those areas would be equivalent to Chatuchak or any other market in thailand. You still move, just baby steps. I’m also pleasantly surprise at how affordable things were. I saw a few stores selling Tom Yum Soup from SG$5 onwards. While it isn’t cheap, it isn’t ridiculously pricey as well. To put things in perspective, i saw a shop selling bottled water for $2 (about the same price as MBS’s 7-11), we have been to other events such as ilights etc around Marina Bay area where even plain water goes for about $5+. The relatively affordable price range is echo-ed throughout Artbox as i personally found prices even for clothes etc to be relatively reasonable. Personally, i feel that artbox in general was still a pretty nice place to head to, even if it’s just to take an OOTD shot with their sign. But if i knew what i was getting into, i wouldn’t have made a trip all the way down to Marina just to check it out. 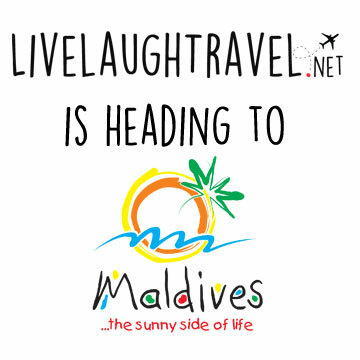 I only recommend you to head there if you are already in the area and it’s more of a “by the way” kinda thing. We would also discourage parents from bringing any prams or strollers in. It is difficult to maneuver and if it is warm as hell for us, it’ll be even warmer for your little one. *PS If you are out on a date, you can also head over to Gardens by the Bay-Tulipmania since you are already in the area. It is located right next to Marina Bay City Gallery, between Marina bay sands main building and the public car park beside it. For those who have been to iLights previously, it is located at where the Uncle Ringo rides and game stations were. I would recommend either taking public or parking somewhere else. We have heard of friends who queued for about 1.5hrs just to get into the public carpark beside MBS. We personally parked at Plaza Singapura and took the train down from there.